Diocesan Synods are meeting, and they are voting against supporting the direction General Synod Te Hinota Whanuia (GSTHW) is going in liturgy. I was recently asked to write a chapter for a book on the future of the Prayer Book tradition (I will let you know when that book is out). In summary, that chapter explores development in NZ Anglicanism from essentially all using the same words, readings, and Eucharistic Prayer to now, if you are going to a particular Anglican service for the first time, you could have no idea what you will encounter. I wrote the chapter after this year’s meeting of GSTHW. Some might think our worship pendulum has swung too far and needs to be drawn back in before it breaks off its anchor. GSTHW wants that pendulum of flexibility in this Anglican Church of Or to be reduced by just one “or”. I wrote the book’s chapter after that GSTHW decision, but the decision was in a formulary and so needs diocesan synods’ ratification. I wrote the chapter when it was unclear whether diocesan synods would ratify a swinging back of the pendulum away from increasing flexibility. I am aware of two diocesan synods (Christchurch; Auckland) that have met and rejected GSTHW’s direction. Flexibility is in. The Anglican Church in Aotearoa, New Zealand and Polynesia (ACANZP) has two skeleton structures for the Eucharist. But, as it currently stands, you can only use 4 of the many Eucharistic Prayers authorised in our Church, or produce one yourself using a framework (given on pages 512-514). An Alternative Form for Ordering the Eucharist (AltForm) is a much more restricting structure than this FFOE. When using the AltForm, you must have two readings, a psalm, a Gospel reading, a Prayer over the gifts, etc., etc. What the AltForm requires is much more akin to the main Sunday Eucharist in a cathedral or parish with a high liturgical tradition. This AltForm allows the use of any Eucharistic Prayer authorised anywhere in the Anglican Communion. [But only, of course, within the framework of such a fulsome Eucharistic service]. GSTHW chose to expand the Eucharistic Prayers allowed for A Form for Ordering the Eucharist to include all those authorised by GSTHW. But GSTHW rejected the suggestion to expand that even further to include any Eucharistic Prayer authorised anywhere in the Anglican Communion. [It rejected Bill 11]. At the same time, GSTHW wanted to remove the allowance to use any Eucharistic Prayer authorised anywhere in the Anglican Communion from the AltForm. [It voted in favour of Bill 12]. It is pretty obvious that, once the FFOE allows for all Eucharistic Prayers authorised by GSTHW, having the AltForm that also only allows that becomes redundant. But no member of the Common Life Liturgical Commission (our Church’s highest level liturgical committee) nor any member of GSTHW has been able to explain to me why it didn’t simply propose removing the AltForm. 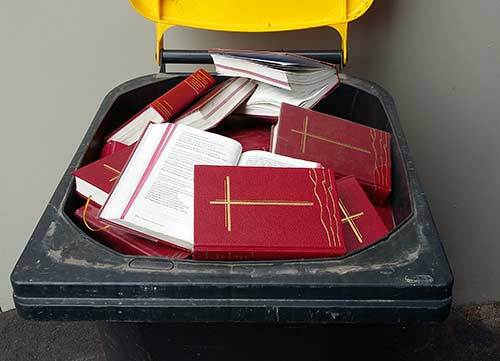 Both the Christchurch diocesan synod and the Auckland diocesan synod meeting last weekend accepted GSTHW’s expansion of A Form, and rejected GSTHW’s restricting the AltForm to limit it to Eucharistic Prayers from ACANZP. The essence of the argument is that the 16 Eucharistic Prayers we have authorised (plus the framework for producing our own on pages 512-514) in a bullet-point service is not flexible enough for the new situation we find ourselves in. From the speeches to synod, it was clear that the AltForm’s allowance for using international Eucharistic Prayers is used (all the way to our Church’s highest levels) but in the context of the far-less-restrictive Form for Ordering the Eucharist (which, remember, does not allow for this using of international Eucharistic Prayers). Individual conversations with priests made clear that some are even going further beyond those edges. For example, they do not use any dialogue with the congregation but simply say a little prayer to bless the bread and wine. I have experienced not even having a prayer to consecrate, with priests simply reciting 1 Cor 11:23b-25 (or, on one occasion, a reflection on bread and wine). In summary, then, the leadership of our Church (at GSTHW) may be wanting to see if they can get the pendulum of liturgical flexibility to turn back. But on the ground, clergy and people see no point in restrictions to what they think is the best for the actual situation they find themselves in. So locally, we are voting against GSTHW recommendations. And even if GSTHW’s rule changes are fulfilled – in worship, the days of clergy following the GSTHW rules have gone. Ps. In the speeches to synod, it became clear that clergy prefer simply using international prayers rather than adapting them to the Eucharistic Prayer framework provided (pages 512-514) in the FFOE. An example: they preferred simply using international prayers based on Hippolytus over adapting Hippolytus to the framework we are given (as I have done, for example, here). Pps. In the speeches to synod, it became clear that there is widespread confusion about what makes a formulary (an agreement binding on our teaching and practice). Contrary to some suggestions, allowing a prayer to be used from beyond our shores does not make that prayer and the teaching it presents binding on us as members of this Church! Ppps. Someone helpfully pointed out to me, in a conversation, that “not using the Prayer Book” is ambiguous. In some sentences, that phrase means that the content of the Prayer Book is being used, but the physical book is not being held in people’s hands (it may be on screens, on sheets, or by heart). At other times, “not using the Prayer Book” is a phrase which means that what we are enjoined to use is not being used. Regulars here know that a lot of my own reflection has been around how (the concept of) “common prayer” has evolved (and what we might be able to retain, how we might now understand it) in a context where words vary from person to person and place to place. I will continue to develop that reflection on this site. No Prayer Books were harmed in the making of this blog post. What Say We Don’t Pass Bill 4/Statute 711? 6 Responses to Goodbye Common Prayer? All very confusing for an Anglican outside NZ. Glad that we have Common Worship and the BCP alongside each other and both equally valid. Yes – sorry about the lower relevance beyond these shores, Ernie. I’m very conscious of that. Some, of course, are interested beyond these shores (a) in what is happening in this church, and (b) in using what is happening in this church as a mirror for their own situation (I suggest, for example, that our church – within the Anglican Communion – is at the far end of the spectrum in regard to flexibility of rites. In some sense you are using this mirror in your comment). On the other hand, I also want to be of service for those within our church here to reflect. 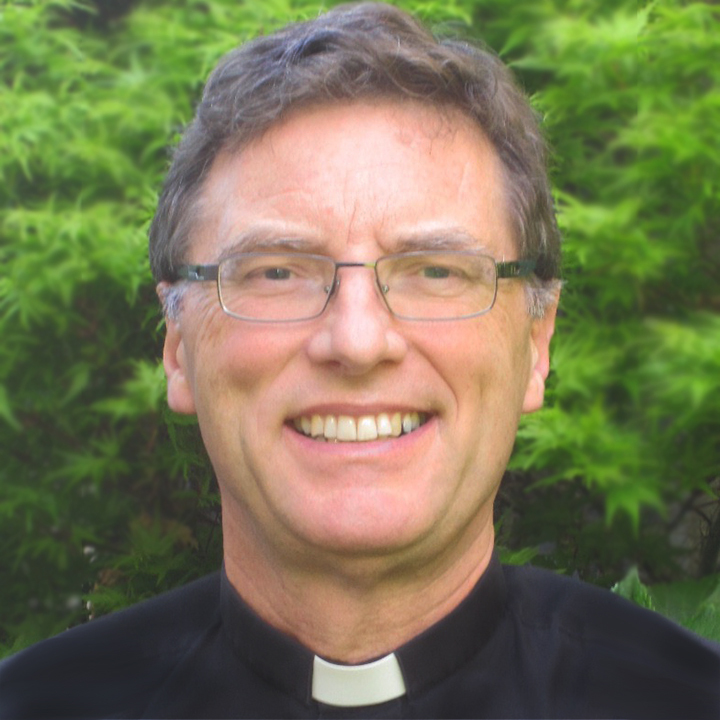 The confusion you mention, I posit, is part of the issue here within NZ – it is all very confusing for an Anglican within NZ. Blessings. I suppose that as an American Roman I’ll just keep observing from afar to see what happens. I may be somewhat familiar with Anglican liturgy in general, but I’m not very familiar, if at all, to what happens in the New Zealand province in general. That being said, you mentioning the diversity of “common prayer” usage reminded me of the time that I went to the main breakaway Anglican parish in town out of curiosity. Now, it probably used to be the oldest Episcopal (and by extension, Protestant) church in this part of the Southwest region, which in part due to its Hispanic population is majority (Roman) Catholic, and by its architecture it emphasises the English heritage of the Episcopal Church. That being said, once there I noticed that copies of the American 1979 BCP were on the shelves, but nowhere in the liturgy/worship service was it ever used. Instead, as you mentioned with what happens in many congregations the parts were being put on screens, and thus I realized that this parish was probably on the Evangelical end of the Anglican spectrum. Well, except that it has elements of all three traditions so I can’t really figure out what it is, but that’s me speaking as a non-Anglican. Another peculiar part of that parish is that it has a Spanish congregation worshipping in a side chapel. The one time I was there I noticed that for what I assumed to be the Spanish translation to the BCP they used pamphlets instead to follow along, and we followed the readings through bibles published by a local (Spanish-speaking) Baptist press. At least that shows some of the liturgical variety we have at this side of the Pacific. By coincidence I started rereading the preface to Brian Carrell’s book about the creation of the New Zealand prayer book, which is probably the same one you’re talking about here. I have yet to buy the e-book, but for sure I should take a look. Lastly, did you take that picture of all those books in the garbage? Maybe you can send one up here and I’ll pay for shipping, I may want to put it in my prayer book/liturgy collection. Otherwise thank you for the article. Working backwards – anyone who knows me will know my respect for books generally (and prayer books specifically) 🙂 So, when I end with “No Prayer Books were harmed in the making of this blog post”, be assured, I very carefully placed a thin layer of prayer books to take my photo 🙂 So, sorry – I can’t really post one to you. Apparently, there’s a new print (edition) about to happen. In general, I think on the world’s Anglican spectrum, NZ lies at the most extremely flexible – a fascinating development from having been one of the most inflexible/liturgically conservative. I trace that history in a chapter in the forthcoming book I mention (different to Brian Carrell’s reviewed here). Watch this space. Oh well, Amazon it is. I keep noticing the Maori translation to the church’s name, for example, and I wondered if there was a Maori translation of the prayer book, but I didn’t find much on a quick search. Again, I’m not too familiar with NZ church affairs but are there Maori churchmen who get a say in the prayer book revisions? I’m once again wondering. Also, looking forward to that book indeed, although I may have to wait a bit longer. Thanks, Carlos – I suggest, if you can wait, that you get the latest edition when it is printed soon. You might contact the Church’s General Secretary if you want to pursue that. There is not a Maori translation of the whole NZ Prayer Book. There is a lot of Te Reo Maori in the book. Note its title: A New Zealand Prayer Book He Karakia Mihinare o Aotearoa. And yes – Maori were involved in the Prayer Book’s preparation, and have an equal say in revisions.